5 Time Management Tips for Muslims! It’s the beginning of your work day; you sit down at your computer to start a project that you are already days behind on. The phone rings. You talk to your co-worker for twenty minutes about an event you are planning for the weekend. After you hang up you decide to check your Facebook status, respond to a few emails, and head to the break room for a snack. Before you know it, it’s been two hours and you still haven’t gotten any work done on your project. And now you have a pile of work you need to get done in addition to your project, and not nearly enough time to do it. Sound familiar? If it does, you are in major need of a time management makeover. The first thing you should be aware of is: you must manage your time. Time keeps on moving no matter what you do. You have 24 hours, 1440 minutes or 86,400 seconds each day to use how you will. To say manage implies that you have some control over it, which you do. While you can’t control getting more time in a day, you can control what you do with the 24 hours that you have- inshAllaah. Charles Bruxton once said, “You will never ‘find’ time for anything. If you want time you must make it.” These tips are designed to help you make more time for yourself. Whether you choose to use it to get more work done, spend more time with the family or enjoy a book while swinging in a hammock is up to you. Here are 5 tips to help you use your time wisely, be more productive and as a result feel happier and less stressed as a Muslim. Your times will vary according to your personal schedule and priorities. Now that you have a vague idea of where your time is spent it’s time to get more specific. You need to write down exactly where you time goes. For example, you know you spend 8 hours at work, but you’re not getting everything done. Why? Take a notebook with you to the office and make note of everything you do and how much time you spend doing it. Write down every coffee break, Facebook perusal, water cooler discussion and projects. At the end of the day, you may be surprised at how much time you spend doing unimportant things because you get distracted. 2. Set goals: What is your ultimate goal? As Muslims everything we do if we do it for the sake of Allaah subhana wa Tala- it counts as ibidah for us. Do you want to have more time at the end of the day to relax or more time to spend with your family without feeling guilty? Maybe you work from home and you’d like to get more work done to increase your income, so you need to be more productive. Whatever your goal is, learning to use your time more efficiently will help. Write down your goal and post it where you can see it. When you start to get distracted look at your goal and remind yourself to focus. If you want to add Qur’aan during the day, but have no time for it, maybe you can add 30 minutes while driving to work, and 30 minutes while driving back home, inshAllaah. Creating goals can be an effective way to stay on task. When we consistently remind ourselves why we need to make a change, we are more likely to stick to our plan. Along with creating other goals you can create specific time-management goals. For example, set a goal of only checking your Twitter feed after you have completed a certain project or after working for a certain amount of time. Reward yourself when you meet a goal inshAllaah. 3. Begin everything with Bismillah, and start and end your day with a plan: Take 20 to 30 minutes every morning to write down what you need to do for the day. Prioritize your list. By making a list of everything you need to get done first thing in the morning, you get your brain on track. At the end of the day take anything that is left over and write it on your list for the next day. Every morning you’ll be adding to the list of leftover items from the day before. If you can, put these left over items at the top of your list so that you don’t have a short list of things that keep tagging along with you week after week. 4. Prioritize your list: List the top six things that you must get done for the day. For some people listing more than six things can be overwhelming. Rank the items on your list from the most important to the least important and tackle them in order. When you get one thing done move on to the next, until you get through your list. You may or may not be able to get everything on your list done. If you don’t finish all six items move the remaining items to the next day and rank them accordingly. 5. Schedule email and phone calls: Set time limits for the projects you are working on and set aside specific time to handle smaller tasks, such as checking your email or returning phone calls. Checking your email every five minutes and answering the phone every time it rings can be real time –suckers. Ignore your phone and return the calls at a later time, unless you are waiting for a call that is vital to one of your projects. The most important thing to remember is that you choose what to do with your time. You need to choose what is most important, and it’s not always going to be work. For me and my family it making sure we are doing ibidah and remembering Allaah in everything we do, inshAllaah. According to John Hall Gladstone: “To comprehend a man’s life, it is necessary to know not merely what he does but also what he purposely leaves undone. There is a limit to the work that can be got out of a human body or a human brain, and he is a wise man who wastes no energy on pursuits for which he is not fitted; and he is still wiser who, from among the things he can do well, chooses and resolutely follows the best.” I pray that this article was beneficial to you, and that you will inshAllaah use it in your life. The plants of Kalonji are found throughout India in the form of bushes. The height of the plant is approximately half a meter. It possesses blue flowers. It is originated from Turkey and Italy. Later on, it was brought to Asia by physicians and cultivated in India. Now a days, it is cultivated throughout India, whereas it is wildly grown too. 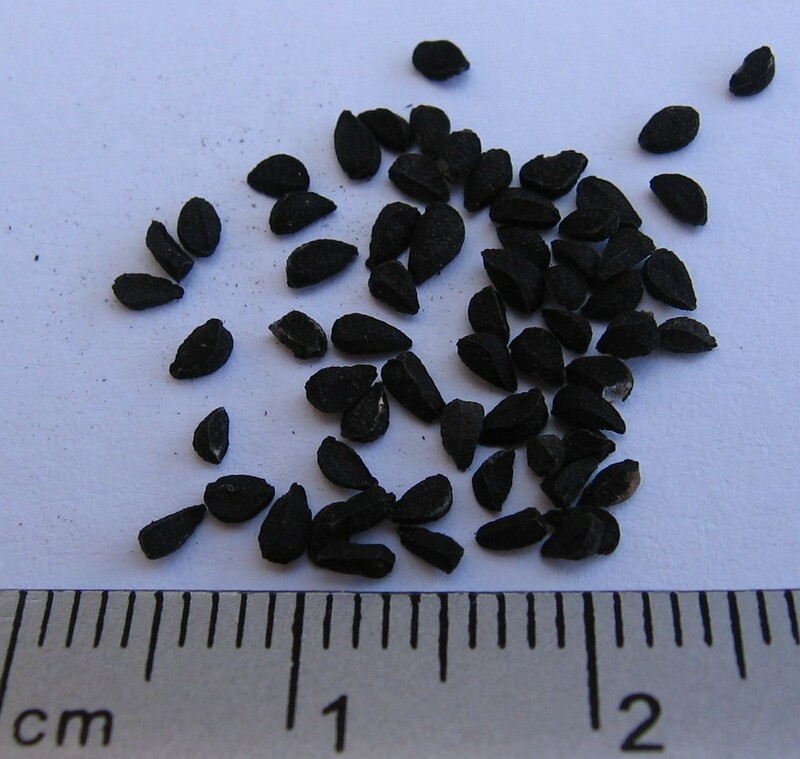 Seeds are triangular in shape, black in colour and possess a severe pungent smell, contain a considerable amount of oil. It is incorrect that Arabs learnt its use from Greeks, because before the advent of Islam in middle east no description is found on record about it’s use. It’s therapeutic use was initiated after the advent of Islam, since, Prophet Muhammad (Pbuh) mentioned its therapeutic efficacy and potential of cure. It is stated in the books of seerat that Nabi-e-Akram (Pbuh) himself used to take these seeds for therapeutic purpose but with the syrup of Honey. Khalid Bin Saad states that he was travelling with Ghalib Bin Jabr, when fell ill during the journey. Ibn Abi Ateeq (nephew of Hazrat Aisha) Came to meet us. On seeing the patient, he took 5 or 7 seeds of Kalonji and ground it, mixed it in olive oil and dropped in both nostrils, Hazrat Aisha told us that Prophet Muhammad (Pbuh) stated that there was cure in black seeds for all ailments except sam. I asked him, what was sam? he told “Death”. Ghalib Bin Jabr became healthy with that treatment. Observations of the scholars of Hadith reveal that shooneez is equally effective for the diseases due to heat and cold. Zahbi states that kalonji removes the obstruction of any part of the body, expels the gases and strengthens the stomach. It is Emmenagogue, Lactogogue and Diuretic. It is an Anti-Helminthic, if taken with vinegar. It is useful in chronic cold. Inhalation of its smell is useful in common cold. The oil of Kalonji is effective in Alopecia. Half tea-spoonful, if boiled in water and taken, is helpful in Asthma and diffuses the toxic effects of Bee and Wasps. 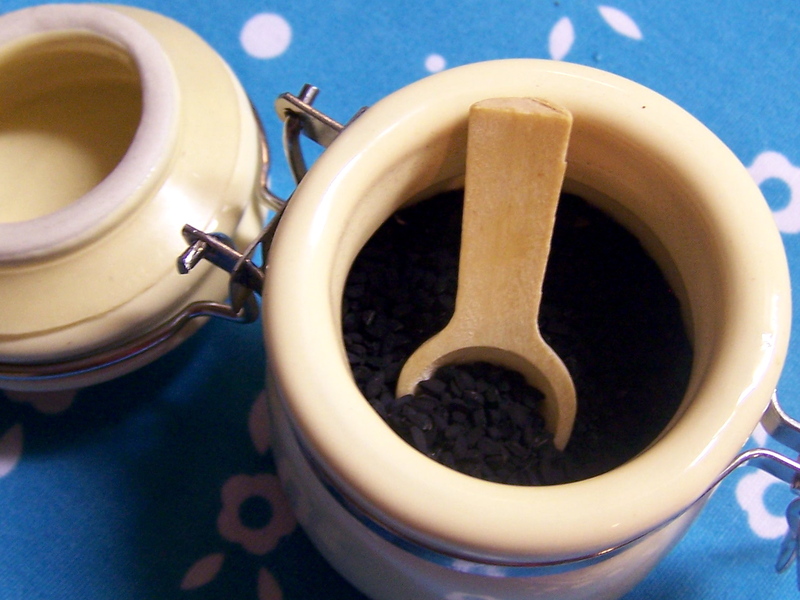 Continuous use of kalonji is effective in mad dog biting. Fumigation of kalonji is useful in respiratory diseases. It is useful in paralysis, Facial Palsy, Migraine, Amnesia and Palpitation. It is also an expectorant and antipyretic. It mormalises the secretions of stomach and pancreas. This phenomenon is very much effective and significant in the treatment of Diabetes Mellitus. It expels the kidney and urinary bladder stones, if taken with the syrup of honey. It is effective in jaundice also if taken with milk. It’s powder if taken with water is effective in Haemorrhoids. If Kalonji seeds are boiled in vinegar and this solution is applied on Gums and Teeth, it removes the inflammation of the gums and relieves the pain also. It is also reported that its fine powder is effective if applied in early stages of cataract. Kalonji is also used in skin disorders. The oil of the seeds is also effective in earache. 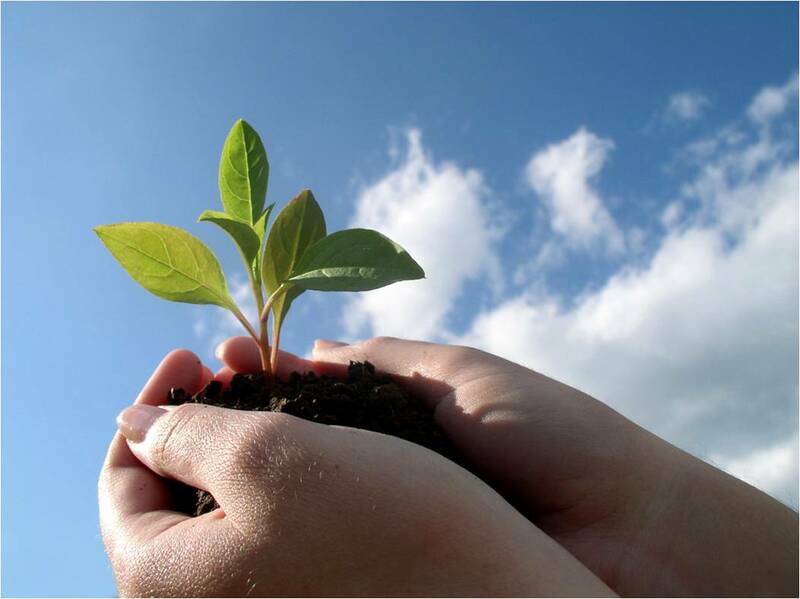 Chemical Composition – seeds contain 1.5% volatile oil, while 37.5% Non volatile oil. In addition to this Albumen, Sugar, Organic acids, Glucoside Melanthin Metarbin and bitter substances are also found. 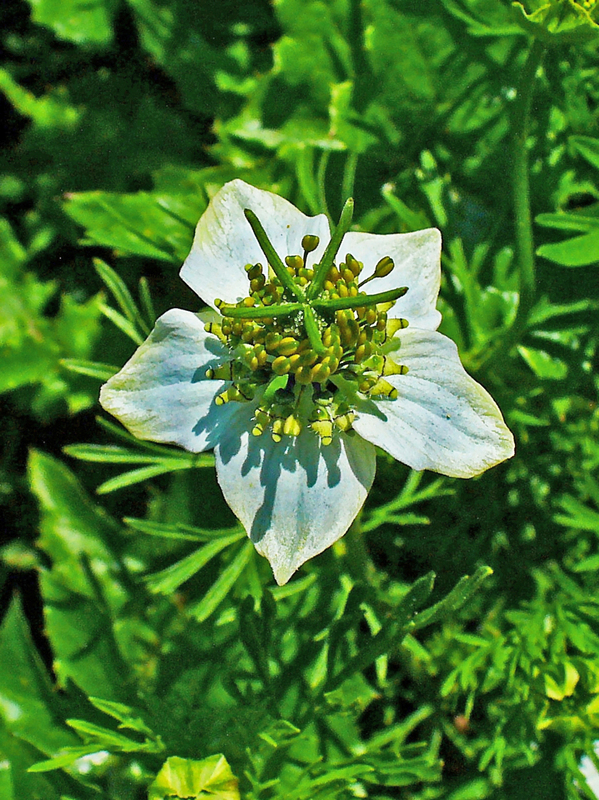 The Glucoside is toxic in nature, hence the use of Kalonji in large doses and prolonged use might be harmful. If it is taken with Qust Sheering after breakfast and Dinner, it is effective in chronic dysentery and Asthma. Qust Sheering is a good medicine for sexual debility, but if it is taken with Kalonji seeds and Habburrashad, it becomes more fortified. Modern upto date trials have proved that Kalonji seeds alone or in combination with other drugs are highly effective in Diabetes Mellitus, vitiligo and other skin ailments.